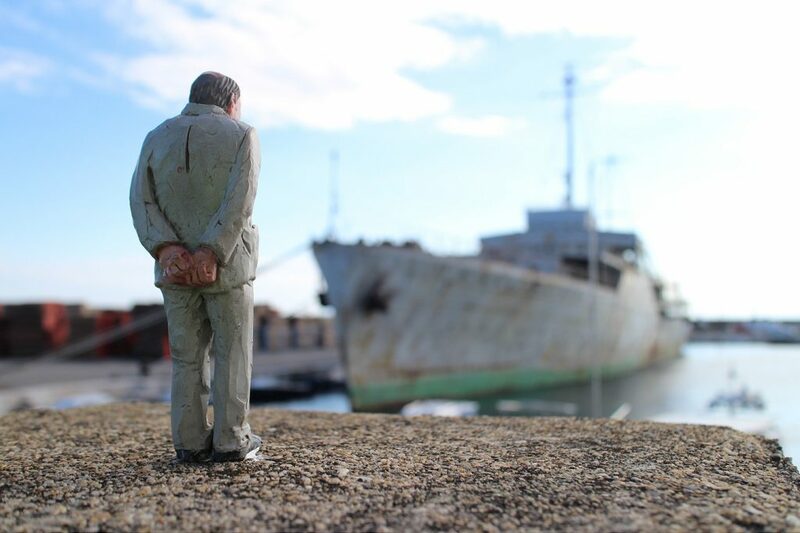 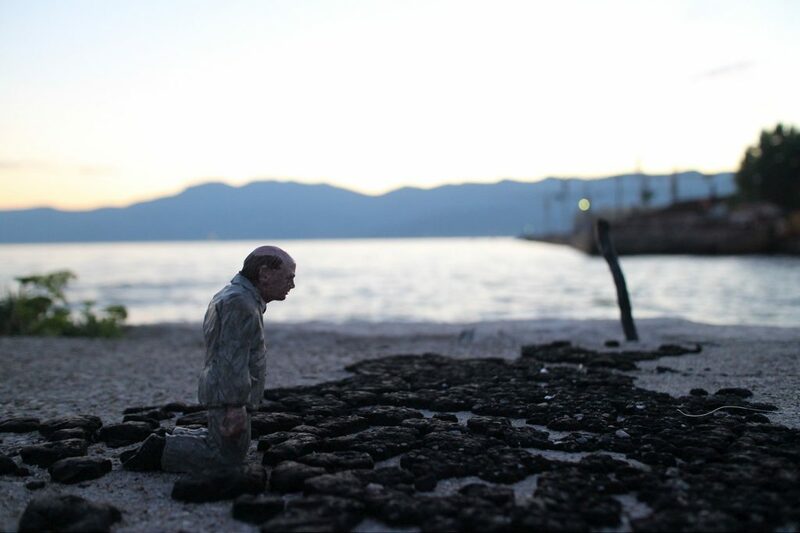 Isaac Cordal recently spent couple of days in the coastal town of Rijeka in Croatia. 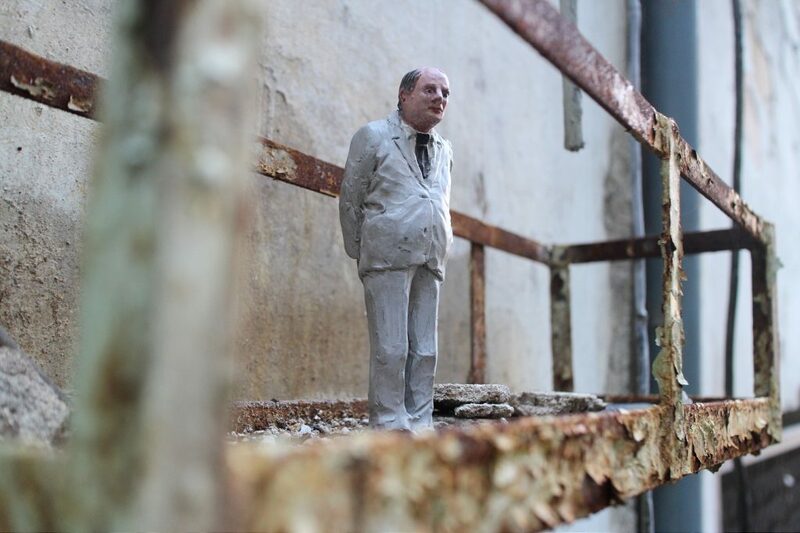 Invited to participate in the Spajalica public art project organized by the local museum of modern art, Spanish artist spent his time there installing his miniature sculptures around the center. 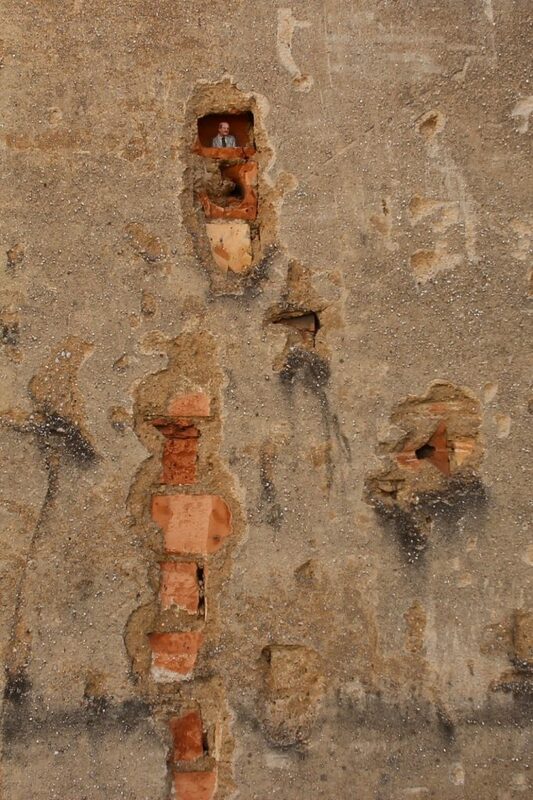 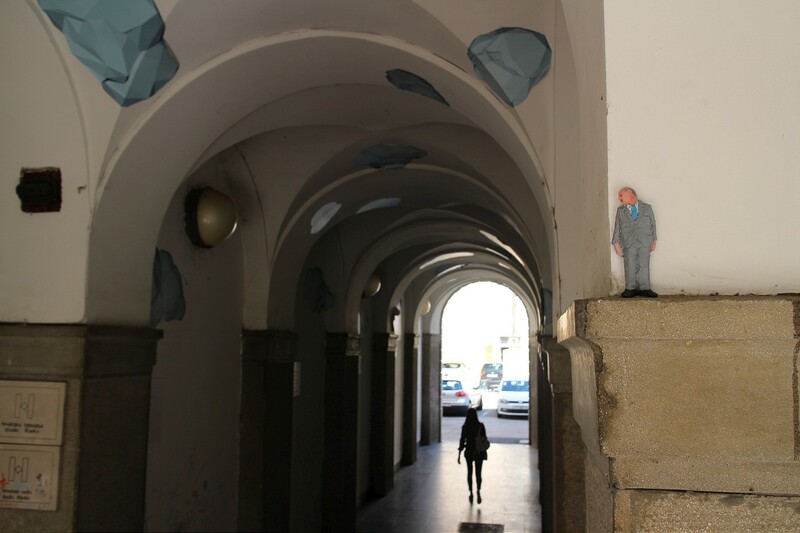 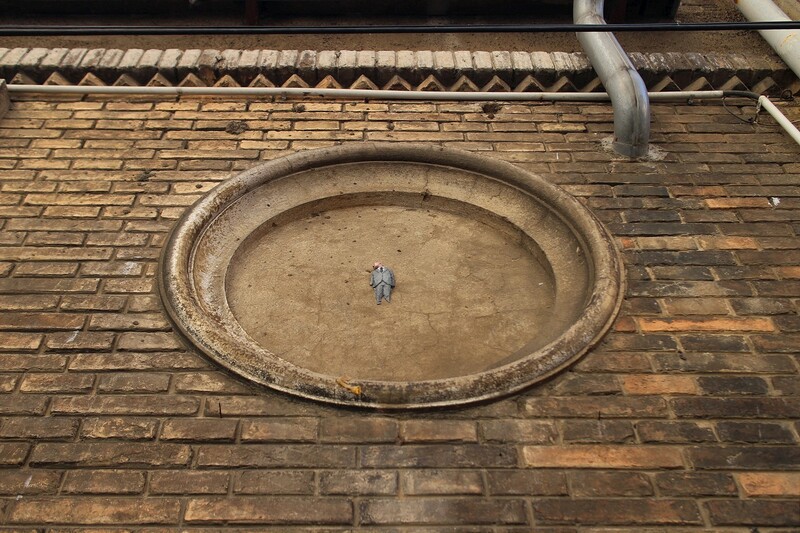 Continuing his ongoing series “Cement Eclipses” Cordal placed around 25 permanent figurines around the city center. 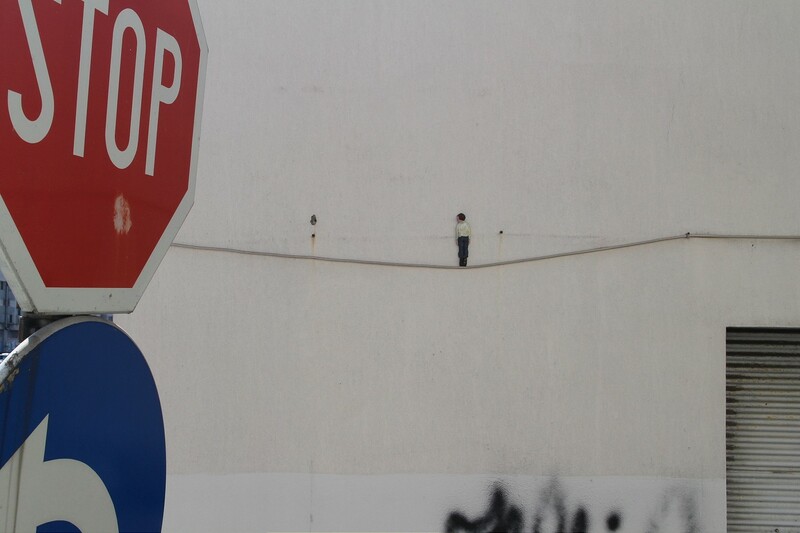 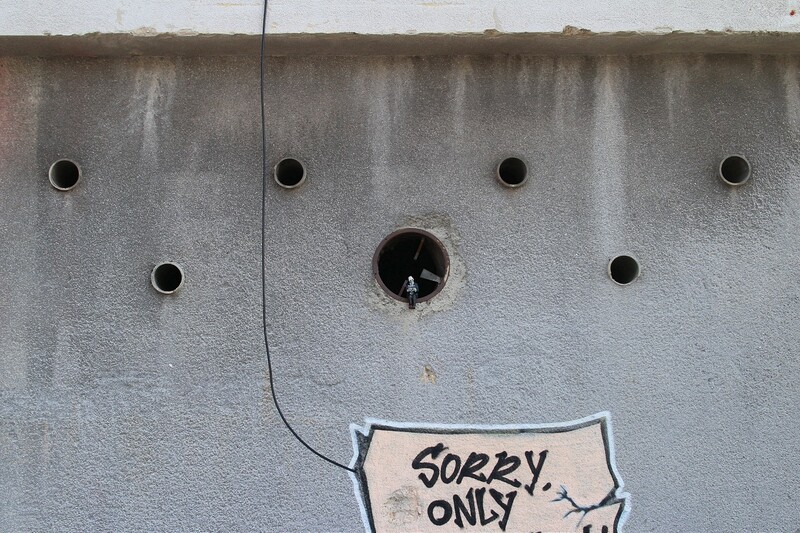 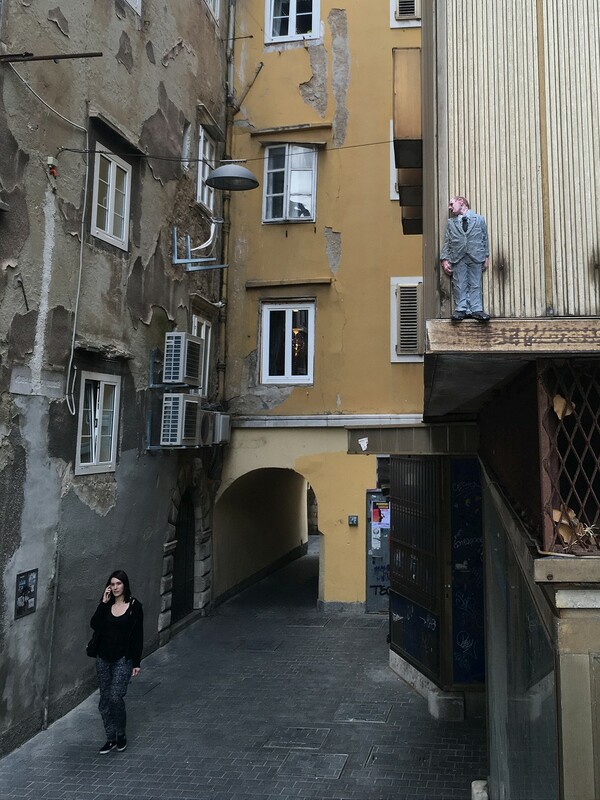 Placed behind the lamps, on street facades, balancing on the cables and luring from pipes, these little men are symbolizing the dark side of the modern society. 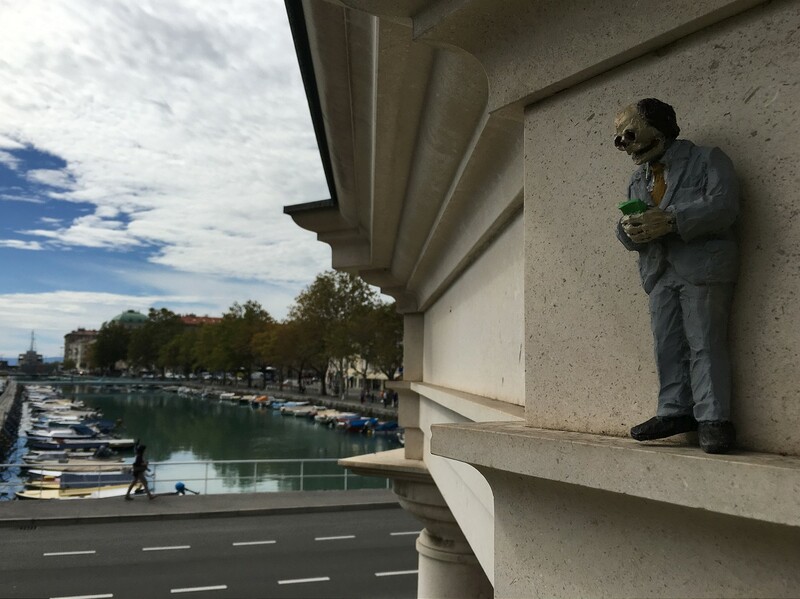 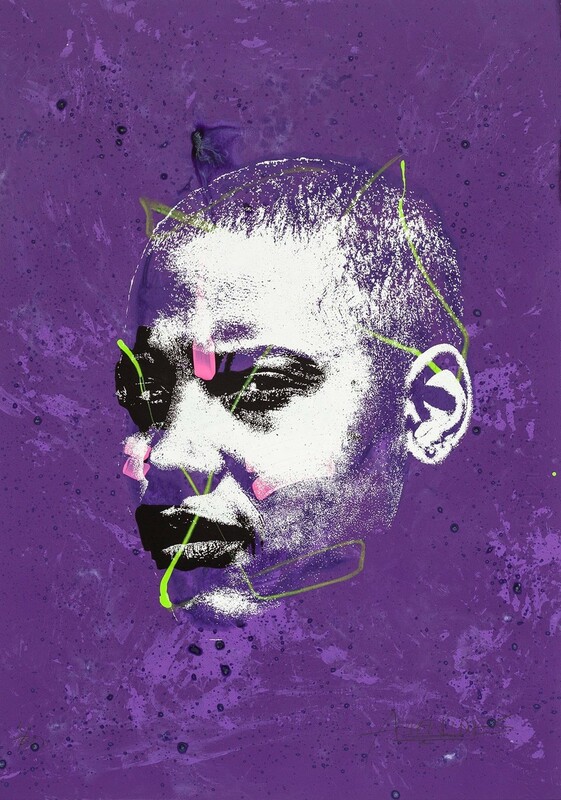 Wearing business suits, carrying briefcases, gazing into distance or starring into their phones, they make passer byers happy with their small insignificance appearance. 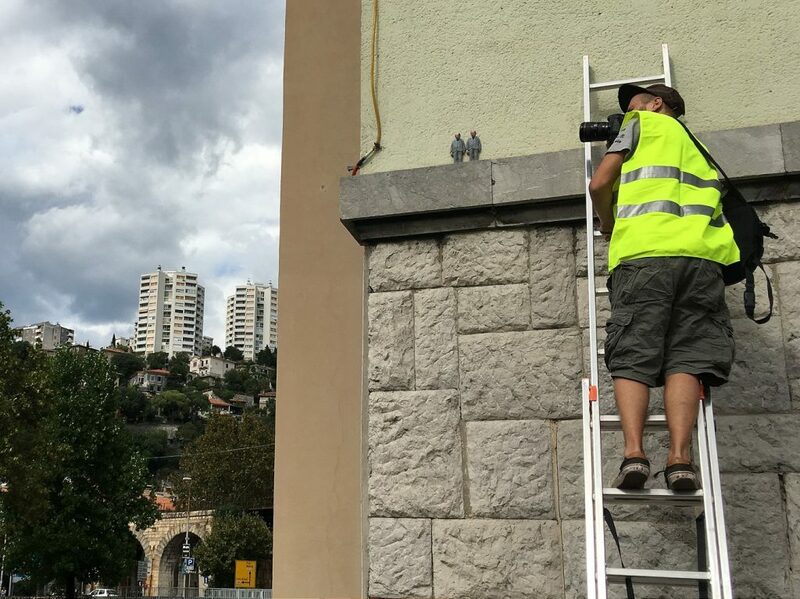 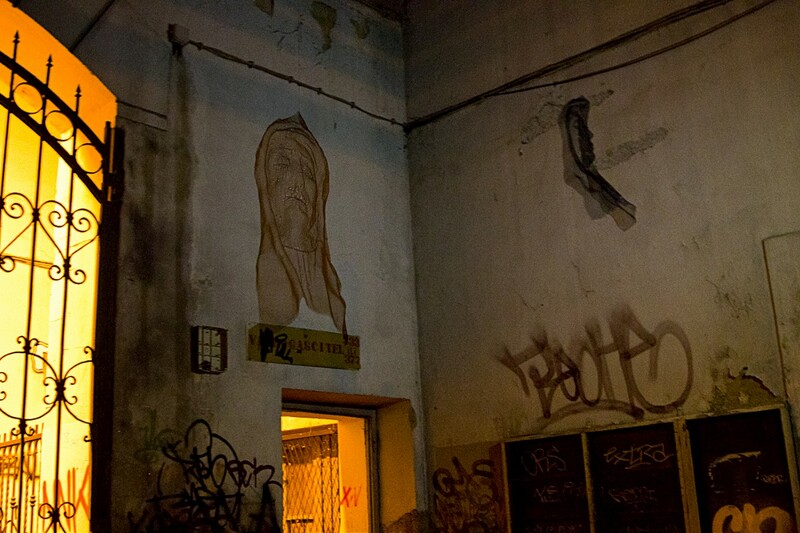 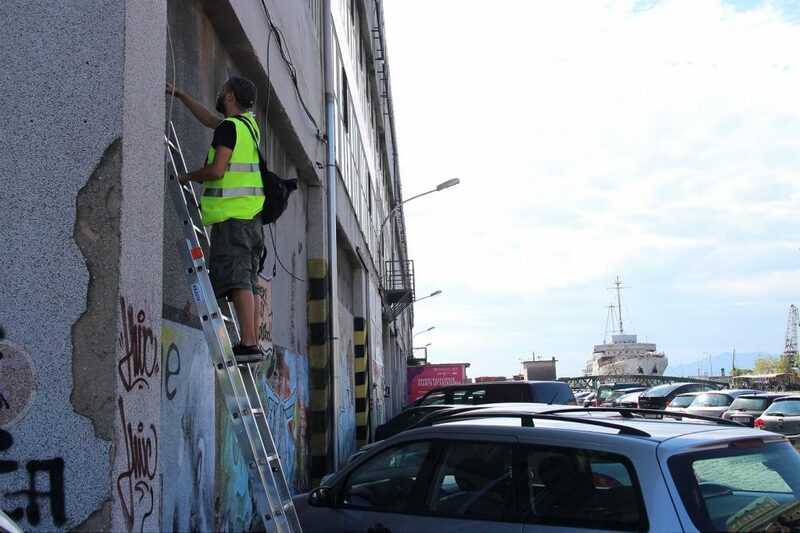 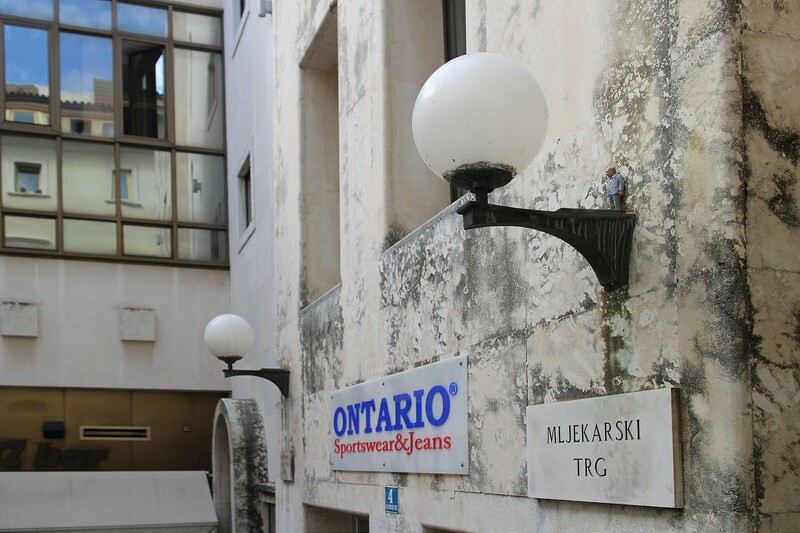 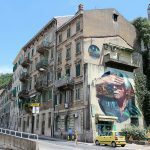 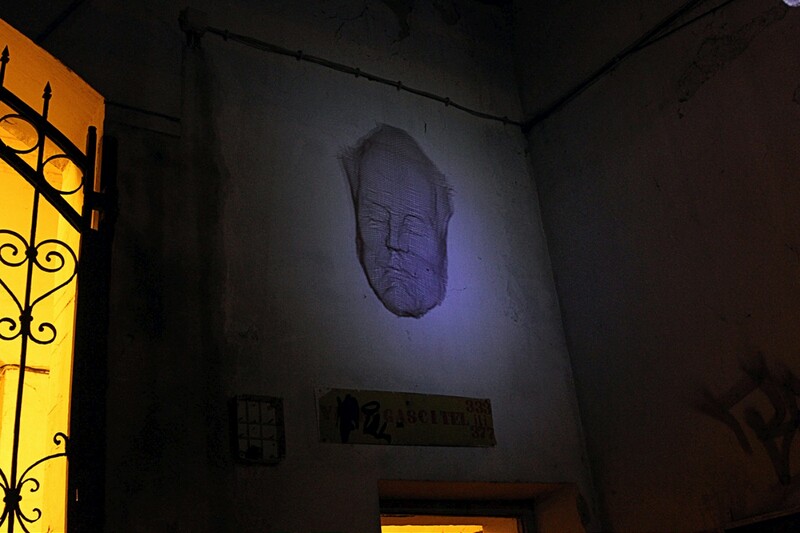 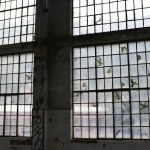 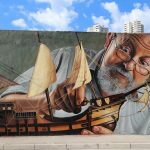 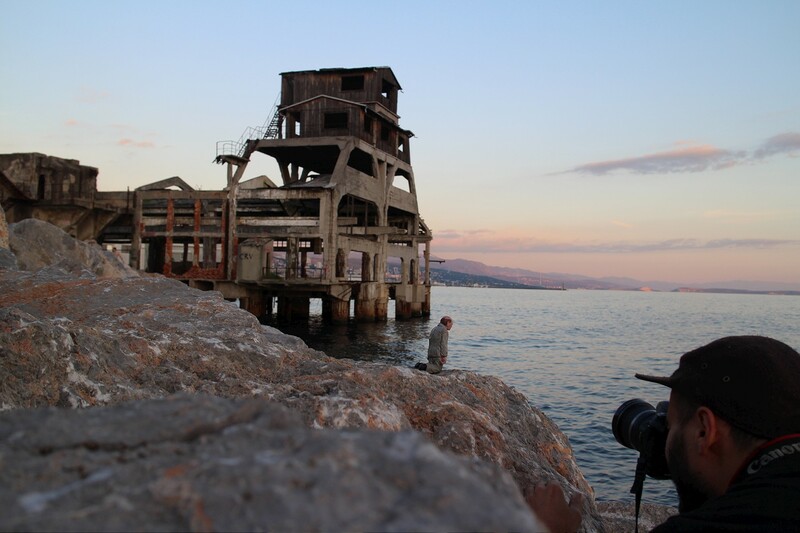 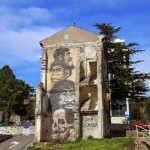 Along with these permanent works, the artist used the opportunity to work around Rijeka’s rich industrial heritage, to create some temporary installations that might be used in his future shows or projects. 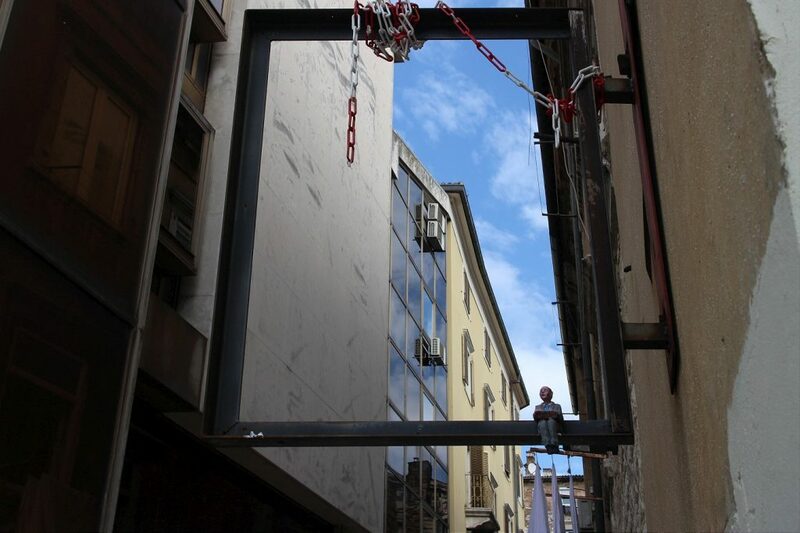 Finally, he created 2 new mesh wire sculptures continuing the concept he introduced back in 2011, which will be permanently installed in Rijeka at later date. 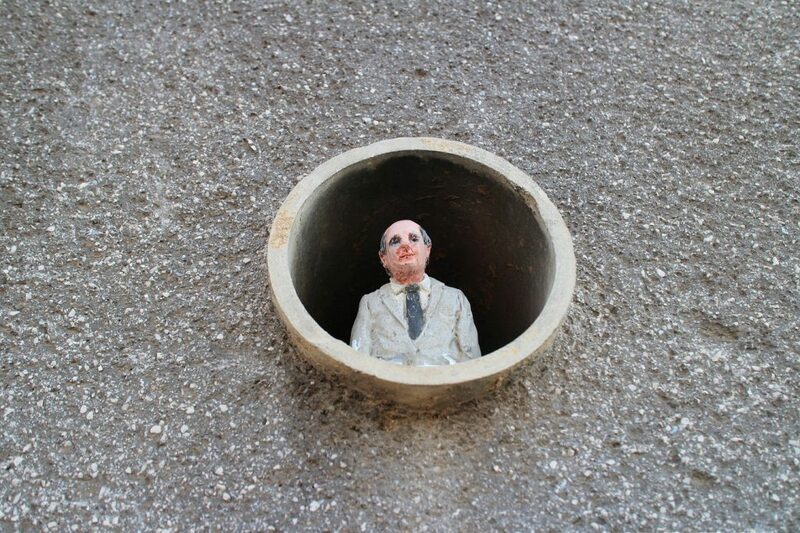 Check out more images of Isaac Cordal in action and his newest work after the jump and feel free to let us know how you feel about these works in the comment section.